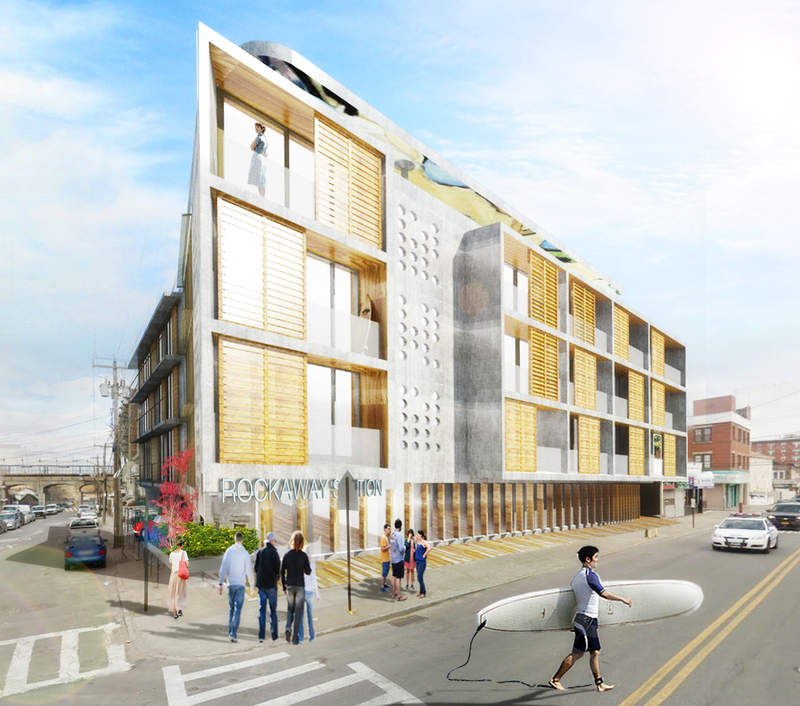 AO conducted a zoning and concept study for a developer interested in building on the Rockaways beachfront. To meet the newly enacted Post-Sandy regulations, we proposed an elevated courtyard building with a ‘sacrificial’ ground floor. This space below the residences would serve as a flexible social space that would enliven the sidewalk. Geared toward a younger resident who would live there mostly on the weekends, the single-loaded corridor configuration is similar to a hotel. This would maximize sunlight and cross breezes into the units. 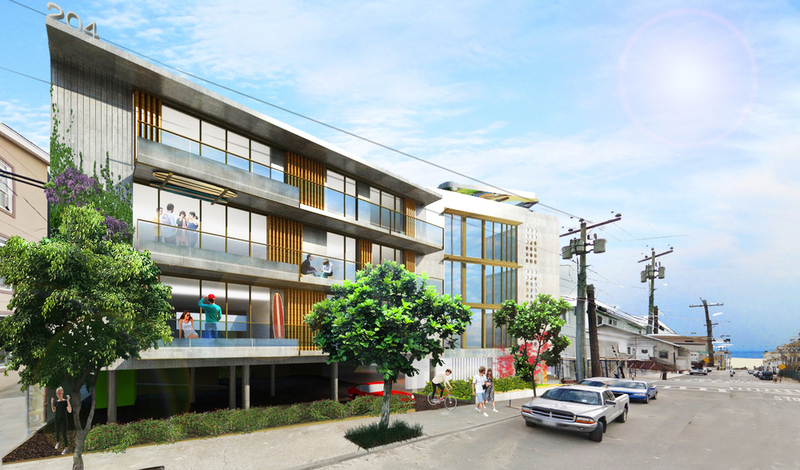 An elevated swimming pool at the rear would activate the parking courtyard.